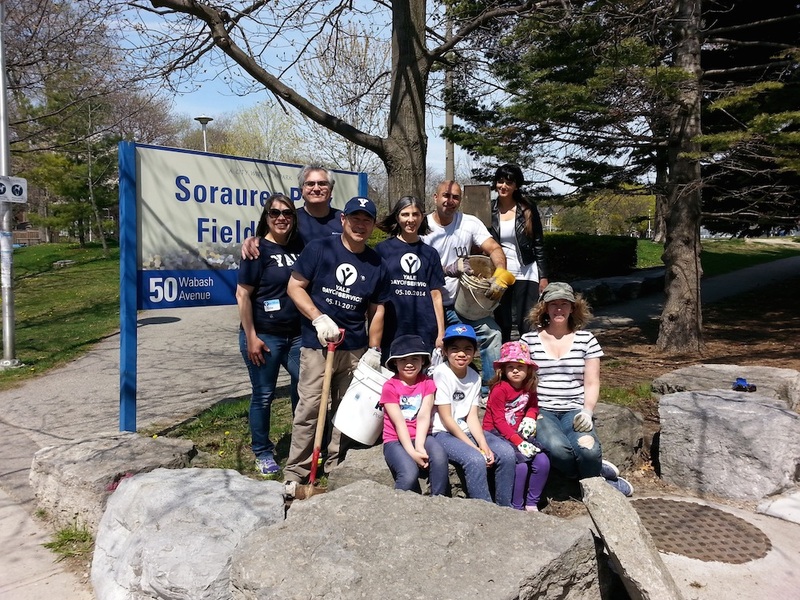 Join the Friends of Sorauren Park and volunteers for the annual Gardening Day on Saturday, May 13 starting at 10 a.m. by the Sorauren Fieldhouse. We’ll spruce up the gardens around the Fieldhouse, around the park, and make preparations for the new tool shed that will accompany the new pizza bake oven coming this summer. No experience necessary. Bring gardening gloves and simple garden tools if you have them. 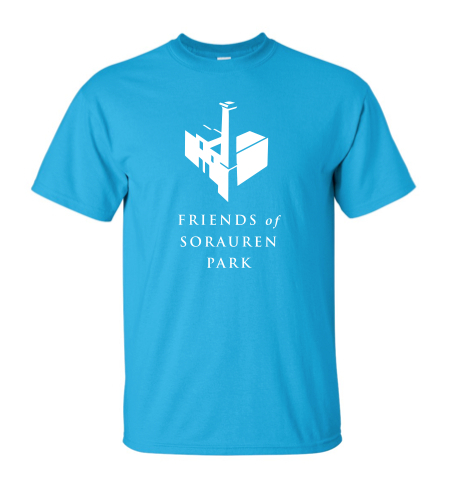 This is also your chance to purchase a cool Friends of Sorauren Park t-shirt, $10 each. All proceeds support the non-profit Friends and free programming at the park including movie nights. 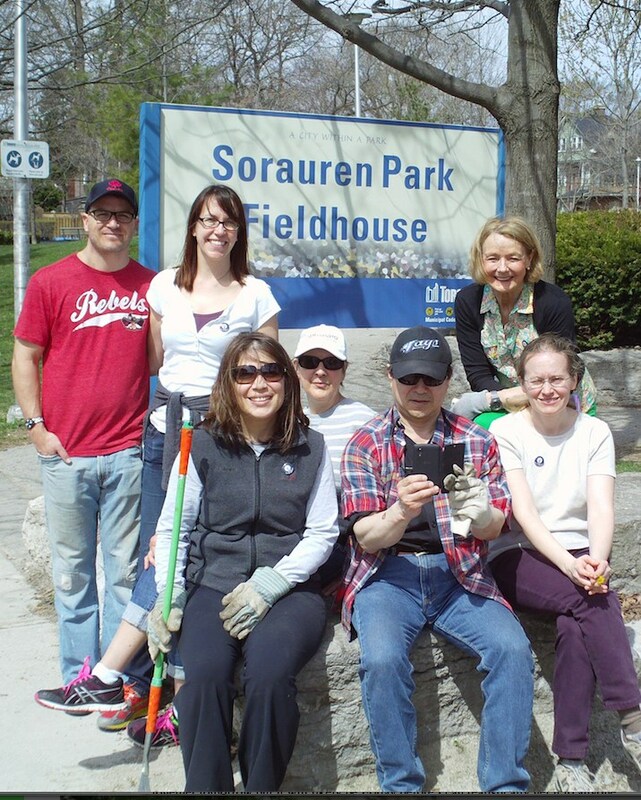 To volunteer for other Sorauren Park activities, use our handy volunteer form and we’ll be in touch. Grab your gardening gloves and a shovel and help us beautify the park at the annual Gardening Day on Saturday, May 7. We’ll start at 10 a.m. at the Fieldhouse, with large mulch piles to distribute around the gardens and the flourishing Town Square trees. If you’ve got a wheelbarrow, bring that, too! All ages welcome, and there will be coffee. Once again, we’ll be joined by our friends from the global Yale Day of Service, who have made Sorauren Park a second home for six years now. 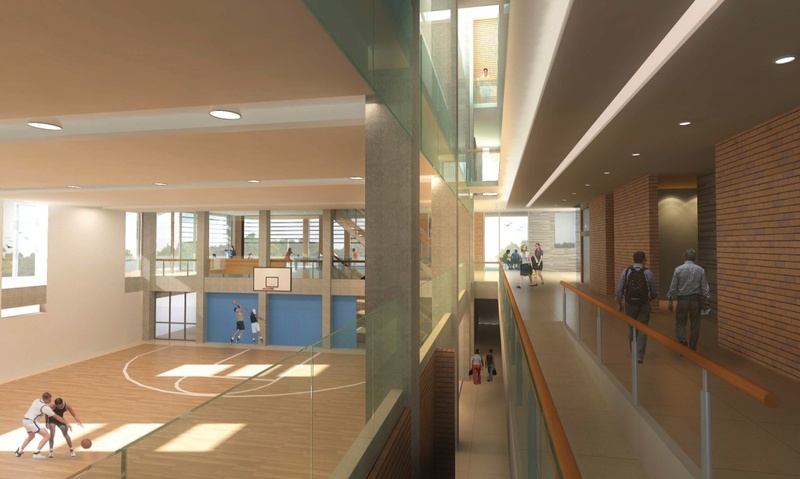 Once again, local residents will team up with a special group of Yale University alumni, who have volunteered for five years now at the Sorauren event as part of the Yale Global Day of Service. Thanks also to Parks, Forestry and Recreation for providing mulch and supplies. Meet by the Fieldhouse. Work will focus on the gardens there, then spread out around the park depending on volunteer strength. Please rsvp using the Contact form so we have an idea of how many to expect. 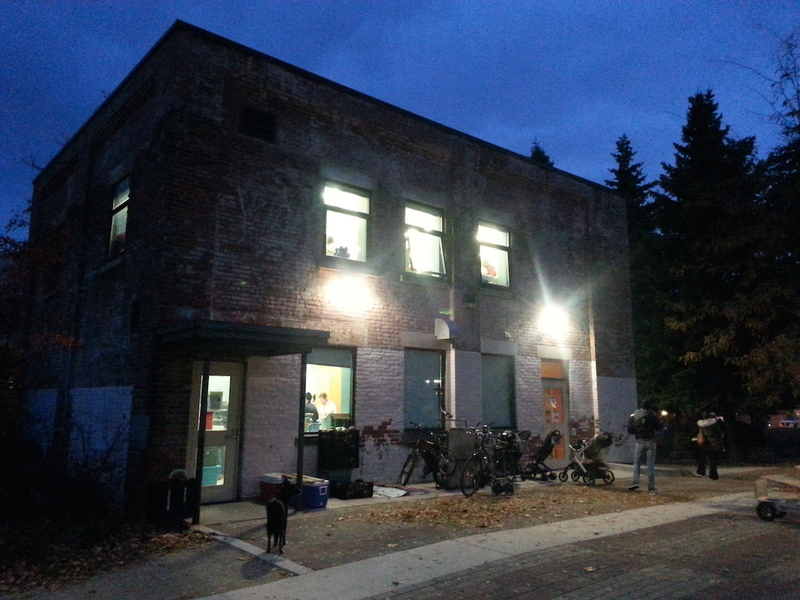 It’s a great way to meet new neighbours and friends, and spend some time outdoors. All ages, no experience necessary! 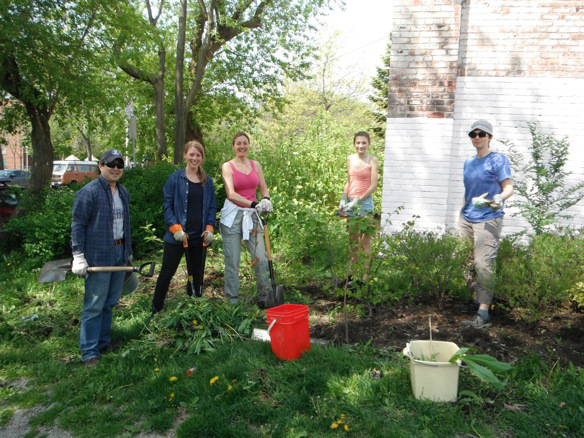 Volunteers are welcome to join the annual Gardening Day event happening Saturday, May 10 starting at 10 a.m. We’ll be weeding, pruning and cleaning the gardens and grounds around the Sorauren Fieldhouse. High schoolers: get some volunteer hours! Bring gloves, shovels, trowels, clippers, pruners, and composting bags if you can spare one or two. Once again, we’ll be joined by volunteers from the Yale alumni, who are participating in the annual global Yale Day of Service. These are Toronto Yale alumni who don’t live in the neighbourhood but who have “adopted” Sorauren over the years for gardening day. Thanks Yale!